Gastric sleeve and gastric bypass surgery are the most common weight loss operations, accounting for about 80 percent of all weight loss surgeries worldwide. In gastric bypass surgery, the surgeon begins by separating the stomach into two parts; a large and a small part, and then sewing the small part of the stomach to make a pouch. Next, the surgeon disconnects the new, small stomach pouch from the first part of the small intestine, and then connects it to a part of the small intestine slightly further down. After this, food passes directly from the stomach to the lower part of the further intestine, thus significantly decreasing the absorption of calories and nutrients. In gastric sleeve surgery, the surgeon will remove a specific percentage of the stomach, a different procedure after which patients may also enjoy a healthy lifestyle. After bariatric surgery, people typically stay in the hospital for two to three days and return to normal activity within two to three weeks. Complications may include ulcers, digestive problems, or wound infections. Additionally, some people experience long-term deficiencies of vitamin B12, folate, and iron. This procedure requires a life-long commitment to post-operative changes, including dietary restrictions, vitamin/mineral supplementation, and medical follow-up. 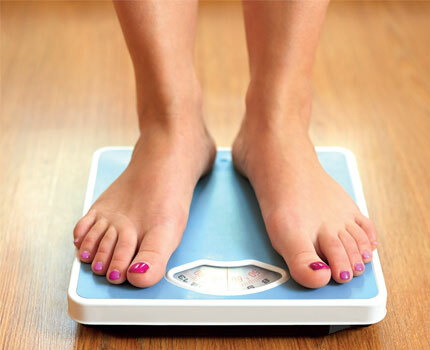 In order to attain the desired weight loss, the patient must follow the guidelines set by the doctor. You will not be able to eat for the first one to three days. You will be allowed to go home if you are able to drink liquid without vomiting, move around without pain, and don’t require pain medication through an IV. A postbariatric surgery diet typically follows a staged approach designed to help you ease back into eating solid foods as you recover. Usually you can begin a full diet three months after the surgery. By restricting the amount of food that can be consumed and limiting portion sizes considerably, patients lose, on average, 40 to 60 percent of their excess body weight. You may lose half or more of your extra weight in the first two years. The surgery can help improve many health problems such as diabetes, high blood pressure, and asthma. Weight loss surgery is considered successful when 50 percent of excess weight is lost and the loss is sustained up to five years. Although this surgery has a fair number of possible complications, the results have proven life-changing.